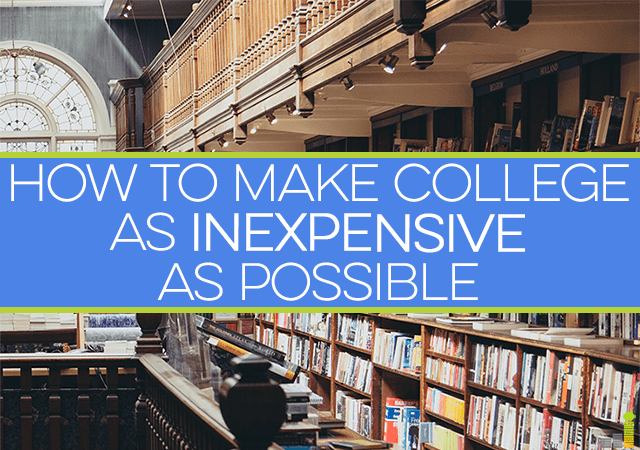 It doesn’t even need to be said – college is expensive. Students are graduating with a record amount of student loan debt, and are wondering how the heck they can keep costs down while they’re in college. 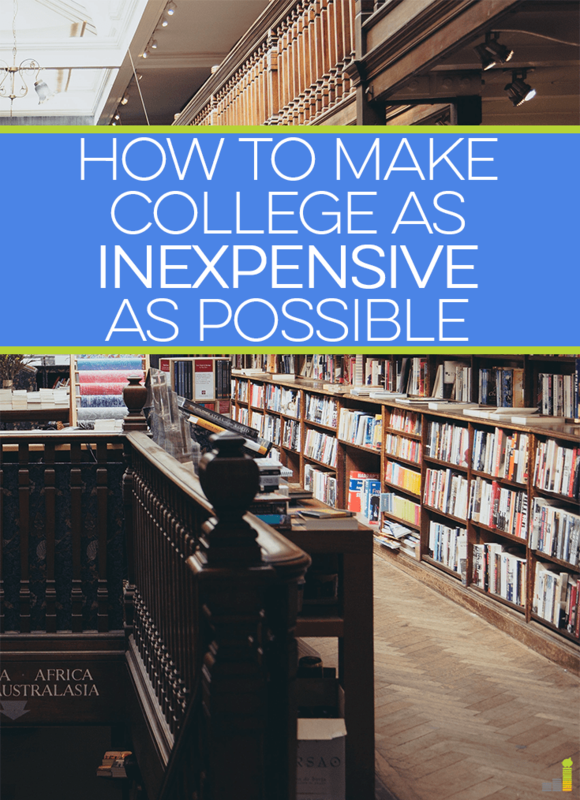 I wanted to share the “inexpensive” path I took to college for any parents or younger readers out there who are planning ahead. I’ve seen several high school students with amazing foresight thinking about how they’ll afford college, which is great! College can change your life, and you don’t want to ruin it by being worried about the mounting costs. From the get-go, I was concerned with how much debt I’d graduate with, and wanted to minimize it as much as possible. I managed to come out with $18,000: I went to community college for a year, had help from my parents for only one year, and went to a local private college for three years. Here’s what students can do, starting in high school all the way up to graduation, to lessen how much they’ll pay for college. I was always in higher level classes during school, so taking AP classes was a given for me. It wasn’t until later I realized this was also a great financial move as I wouldn’t have to take as many 100 level courses in college. Besides AP classes, there were a few other electives I took in high school that qualified for college credit if you paid an extra fee. I don’t recall exactly how much it was, but it was definitely cheaper than what you would have paid at a community college. Of course, you generally need a score of 3 or above on AP tests, so you can’t exactly slack off, or all your hard work will go to waste as far as obtaining college credit goes. The other good thing about AP classes is that they typically prepare you well for actual college courses, so you’ll be used to the workload by the time you get there! Community college gets a bad rep for being “13th grade.” A lot of students don’t take it seriously, and it’s generally seen as the furthest thing from prestigious. 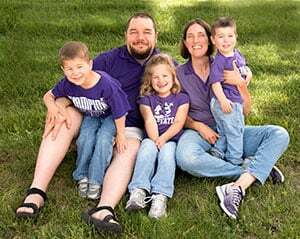 I say do what you want – part of frugal living is embracing unpopular choices that ultimately improve your financial situation. I got accepted into every college I applied to, yet I chose to do a year at community college. There were a few reasons for it, cost being the biggest factor. I couldn’t see spending $30,000 a semester on basic courses when I could take the same ones for a fraction of the price elsewhere. There’s no more prestige in taking Algebra 101 at a top university than at a community college. In doing this, I was also able to continue working part-time at the first job I had. I was spending less on college and earning enough to cover any expenses I had. It was a win-win situation. Best of all, I continued living with my parents and had a rather short commute. I know it’s not always the best option for everyone (especially if you don’t have a great relationship with your parents), but it’s one of the best ways to save during college. At the very least, consider a city or state university as they tend to be more affordable than private schools. One important tip: if you’re planning on transferring out after a year or two, be sure you’re taking courses that will transfer to the schools you want to apply to! Ask counselors at your community college – they might have a list of what courses transfer over, or at the very least, they can find out for you. If worse comes to worse, call up the admissions office at the other schools and ask. If you’re already on the path of trying to do college the inexpensive way, consider transferring to local colleges with programs in your major. Of course, if your major is more specialized, then it may be worth the money to attend a college that offers an excellent program. Just remember, a degree doesn’t guarantee you a job. Go through the process as if you were applying to colleges straight out of high school. Inquire about financial aid, and ask about scholarships. Specify that you’re a transfer student, though, as this could change which scholarships you’re eligible for. I was pretty upset when I found out my friends had received better scholarships than I had (with similar grades) simply because they weren’t transfer students. Apparently, my college didn’t have a great transfer program. I’m not sure if this is the case everywhere, so do your research when comparing prices and aid. This isn’t going to be possible for everyone. I wouldn’t recommend taking so many classes you completely burn out, but if you’re a natural learner and don’t mind taking 18+ credits (around 6 classes) a semester, then think about accelerating your graduation timeline. I followed this plan and was able to graduate a semester early. I would have graduated earlier had it not been for the fact I had no idea I could take more than 12 credits a semester. My advisor didn’t exactly make that clear when I met with him. Full transparency here – I stopped working after my first year in college to handle the course load I had, though I’ve seen others go through college working full-time. It’s all about knowing your limits! Taking more classes during the semester meant paying an extra fee (and getting approval from the Dean), but it paled in comparison to paying a full semester’s worth of tuition. In addition to that, I also took one class during the winter and summer intersessions. This was paid for separately, but again, I thought it was worth it, especially as tuition continued to rise every year. If you’re worried about scheduling and flexibility, look into online classes. I took a few throughout my years and it provided a nice break from being on campus. Even with piling on classes, I was still able to have one day off a week. Merchandise was way overpriced, and custom books for classes were insanely expensive. Try and find a friend to split the cost with, or find someone to buy it from. My school rarely bought back books and I would have happily sold them for anything! Consider if going away to college is worth the price. It’s a different experience to be sure, and I’d never tell anyone not to do it, but going local saved me a lot of money as I only had commuting costs to worry about. My college was five minutes down the road, and I still made great friends. It was all possible because I decided I didn’t have to go to the best college out there, or even the best college I got accepted to; I just had to go to the best college for me. A plane ticket costs a lot more than a bus or train ticket back home. The closer you are, the more you’ll save. Lastly, attend school events for free stuff. Our school always had free food at events, and if you were lucky, you got some free swag out of it, too. College doesn’t have to cost you a fortune as long as you plan it out mindfully! Additional resource: Do you have student loan debt you’re paying off and would like to save money paying them off? You can consolidate or refinance your loans for as low as 2.13% APR (with Auto Pay) with SoFi. Check out the rates at Sofi to see if you qualify. How did you save on college costs? Did you take AP classes, go to a state university, community college, or local college? What would you do differently if you could go back? Loved this! Sounds like we took a somewhat similar path. I also took college level classes in high school, spent one semester at a community college, then transferred on to a private university. I was able to save a decent amount of money by taking those steps. I think too many people skip over the importance of the first two, or at least the benefit of attending community college for a semester or two. It can save you thousands! Wow! Awesome post! I took a similar route by starting college locally and loading up on classes 6 or 7 at a time. And I worked to pay living expenses so loans were reserved for tuition. There are so many paths, but one that involves community college is usually undervalued by most. It does seem that way. I really wish I had known to load up on classes – as it was, I felt like four a semester was too little. I don’t know why I never thought to ask until I realized others were doing it! 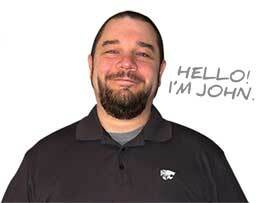 Great post, John! I want my son to take all of this advice to heart when he’s finally old enough for college. My friends laughed at me for going to community college for my first two years but one of them confided how much student debt they graduated with and it was DOUBLE my amount. If you begin college thinking with a frugal mind, you will end up better off. That’s so awful your friends laughed at you for the choice. Like I said in the post, it really doesn’t matter where you take your 100 level basic courses. And my community college professors were just as awesome, if not better, than the ones I had when I transferred. My high school has a relationship with a city college which was next to it and we were able to take a few classes there our senior year. I was able to get 12 credits which was a great start. I also took a summer course at that same college. All 15 credits transferred over. I probably had a little too much fun in college =) …otherwise I should have been able to graduate a semester earlier, though I did decide to take on 2 majors. Oh that’s awesome! I believe we had partnered with one of the community colleges, but we didn’t have to go there – the class was just offered as college credit. The rest of us could take it on a pass/fail basis. I hope there are more schools that offer that option! Great advice. I decided to transfer to a different school after 1 year of college and did whatever it took so that I did not have to extend the amount of time to get my degree. I definitely agree with taking more classes if you can handle it. Transferring or deciding to change your major can definitely prolong the amount of time it takes to graduate. It’s a good thing to keep that in mind and figure out what you can do to still graduate “on time”! Good tips! I did a lot of these things too Erin and they saved me a ton of money on college costs. Thanks! Glad to see so many others who did the same. I had a full time job and lived with my folks, so the savings were substantial. Was able to pay for my college and not have to get into debt for this. That’s awesome! If I could go back and change things, I would have still held a job. If only I had known about freelancing back then – most jobs I had weren’t very flexible. I am very happy Ramona brought up the topic of working while going to school. I did the same, which paid for all living expenses and school costs. Starting at a community college and earning a little scholarship money helped. I did not have to use debt at all. It was hard, took longer than the idealized 4 year college path, but was very worthwhile. Having no debt at graduation allowed for a great deal more opportunities. Working throughout college to fund as much of one’s education as possible cannot be encouraged too much. It’s tough to strike a balance, but like I said in my reply to her, I wish I had kept a part-time job throughout college. I just had a rough time working with a manager who kept scheduling me on the days I had classes, and when I tried to apply for jobs over the summer, I never heard back. It’s one of the reasons I think freelancing is such a great option for college students – it’s much more flexible! Good tips. I’ve written extensively on this one in my $10k college series. People should also focus on scholarships, CLEP tests, and online classes, among many other options. Thanks, Adam. I had mentioned scholarships and online classes, and I actually took two CLEP tests, but unfortunately they didn’t count at the college I went to. Still good options to look into! I didn’t do any of that and now I have the loans to show for it. I went to school 3 hours away from home so there was no way I could stay with my Mom. If I would have went to school in my hometown I probably wouldn’t have did that anyway. The one thing that I could have done to save money was to keep my GPA higher. I had a little too much fun my freshman year so it fell a bit. You live and you learn. I’m sure a lot of people have made that mistake! I think most schools will give you a warning if you’re in danger of losing any scholarships, at least. While I don’t love being in debt, it’s taught me a lot of lessons, so I try to look on the bright side with it. These are truly inexpensive means of saving money in college. But, I think scholarships or grants are really one of the best. All you have to do is maintain your grades or complete duty hours at a office you are assigned to work at. Scholarships were something I wish I had focused more on in high school, but there were 500 others graduating with me and I didn’t think I had much of a chance at winning any. They take a lot of effort, but it’s worth searching for them, especially if you have unique skills/circumstances. Otherwise, merit-based scholarships are great! I think going to a community college is awesome! I went to one while still in high school, and it gave me a great stepping stone into university!